On October 11, 2018 GSS purchased the assets and customer data base of Select Machinery that are related to their Didde service parts business. GSS purchased the Didde business in 2009 and owns all the intellectual property. Select Machinery was an alternative source for Didde service parts and rebuilds. Kenneth Green, Chairman of the Board for GSS, died on August 19, 2017 at the age of 92. Ken was one of the founders of GSS along with longtime friend Fred Harding. Ken had a long history in the printing industry dating back to 1964 with Hamilton Tool Company. Ken was also co-owner of Hadronics, a plating company that services the printing industry.  Springboro, Ohio- Graphic Service Systems, Inc. (GSS) is pleased to announce the recent addition of Mark Pellman as Manager of Engineering and Product Development. “Mark brings to us over three decades of experience in engineering, sales, and marketing in multiple markets. These markets include graphic arts imaging, bindery and finishing, mailing, metal stamping, material handling, and packaging. Mark’s experience enables GSS to continue to grow our current portfolio of inkjet solutions, web offset presses, finishing equipment, and web handling equipment while continuing to reach other markets with more solutions” stated John Sillies, Executive VP of GSS. “Mark’s experience enables GSS to build on our success of offering our custom engineering, world-class manufacturing, and precision machining capabilities into many markets” states Dan Green President and CEO of GSS. GSS is an American manufacturer conveniently located between Cincinnati and Dayton, OH in a modern 100,000 square foot manufacturing facility. GSS also provides parts and service for Harris, Schriber and Didde Presses.